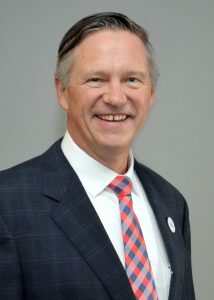 NEW YORK (April 2, 2019) –David Davenport, Co-CEO and President, Commercial, of FlightSafety International, has been elected President of The Wings Club Foundation. The Board of Governors voted to elect David during the Wings Club Annual Meeting held on March 27, 2019. He will serve a one-year term. As President, David will set the strategic direction of the Foundation for the upcoming year. He will serve as Chairman of the Executive Committee, and preside over the annual meeting, board meetings, Annual Awards Gala and Aviation Leader Series Luncheons. David joins a distinguished group of aviation leaders who have previously served in this important role including Bruce Whitman, former Chairman, President & CEO of FlightSafety. The Wings Club Foundation, Inc., is a 501(c) (3) charitable organization. Its mission is to focus on initiatives aimed at supporting scholarships for students who will pursue a career in aviation or aerospace, providing programs to educate in the field of aviation, and supporting charitable organizations that use aviation to help those in need. The Wings Club Foundation comprises more than 1,300 members including industry leaders, pilots, professionals in related service organizations, and students of aviation. Recognizing significant achievements that contribute to the advancement of aviation and aeronautics, The Wings Club Foundation presents not only the Distinguished Achievement Award, but also the Outstanding Aviator Award and the Distinguished Scholar Awards.